What's on Netflix > Netflix News > Will AMC’s The Terror Season 1 Come to Netflix? Will AMC’s The Terror Season 1 Come to Netflix? 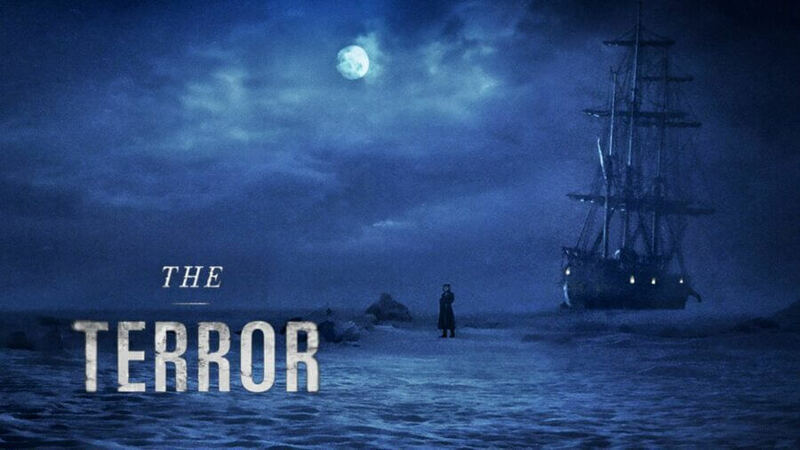 One of AMC’s newest shows is The Terror a brand new series consisting of 10 episodes. It’s an anthology series which as you may know, does really well on Netflix with titles like Black Mirror and American Horror Story being perfect binges. Will AMC’s The Terror season 1 be coming to Netflix? Let’s take a look at its streaming schedule. The series comes from Ridley Scott and is an adaptation of the 2007 novel of the same name. The series is an anthology meaning any future season will take a different route. The series is about a British ship that’s stuck in the Northwest Passage and must survive the cruel winter. AMC is no stranger to Netflix although their relationship is mostly on a case by case scenario. For example, The Walking Dead comes to streaming only on Netflix each September likewise so does Better Call Saul and Into the Badlands. Some titles go to other locations like Fear the Walking Dead and Preacher both exclusive to Hulu and Amazon respectively. Is The Terror on Netflix? The Terror currently hasn’t announced plans for its streaming home. Only Amazon is carrying the show with weekly drops on its video on demand service. You can find it through the AMC channel on Amazon but it’s not part of the Prime subscription. Hulu is unlikely to get The Terror as it tends to secure deals where it can release episodes weekly like it does with Fear the Walking Dead. At this point, it’s unknown where the series will end up. We’ll update this page the second we do learn of its streaming home. Beyond the US, no Netflix region has picked up the series as a partial Original. When will season 1 be on Netflix if it does come to Netflix? Let’s assume for a second Netflix does secure the rights in the US. It adds most to all of its new titles that begin airing in Spring in February and March. That’d mean that season 1 would arrive before season 2 which would most likely be March/April 2019. In the meantime, if you’re looking for something similar to watch on Netflix. Why not try Frontier. Set in a similar time era and focusing on the grittiness of said era, Frontier is now into its second season with a third on the way. Do you want to see The Terror arrive on Netflix? Let us know down below.